You don’t need a sparge arm for this, although you can use one if you have it. Fly sparging can be made less complicated, and less wasteful of water, than the way it is presented by some homebrew books, magazines, or websites. This is a description of “my” way of continuous sparging. It’s “my way” in the sense that this is how I do it, not that I was the first or only person to consider it. I call it pulsed sparging, but some commercial breweries do this as their method of continuous sparging and don’t have a special name for it. Part of my method involves calculating the right amount of sparge water needed, so at the end of sparging the lauter tun is run dry. This saves water and you don’t have to drain the excess water from the lauter tun before cleaning it. I start by calculating my pre-boil volume, then working back to how much sparge water I’ll need. Some homebrewers collect the same amount of wort for every brew. There are disadvantages to this, but it is easy to know what your pre-boil volume will be and how long your boil is going to last. For most beers, I collect as much wort as I can from the grain bed, and boil it however long it takes to reduce the volume to my batch size. I have found through trial and error that, on my system, I usually yield 0.65 gallons of wort per every pound of grain (5.6 L/kg). In other words, if I’ve got 10 lbs. (4.5 kg) of grain in my mash tun, I expect it to yield 6.5 gallons (25 L) of wort. If I collect more wort, the beer will likely be astringent and my boil time increases. If I collect less wort, my extract efficiency will suffer — but my boil time is shortened, something to consider when brewing big beers. From the weight of the grain bed, I calculate the amount of strike water. As with many homebrewers, I most frequently mash at around 1.25 qts./lb. of grain (2.1L/kg). During the mash, the grains will soak up some water. This varies, but if I multiply the weight of the grains (in pounds) by 0.15, this usually gives me the volume of water (in gallons) retained by the grains. The volume of strike water minus the amount of water trapped in the grains is the volume of first wort. Knowing this, I know that my pre-boil wort volume must equal the volume of the first wort plus the volume of sparged wort. Equivalently, the volume of sparged wort must be equal to the pre-boil wort volume minus the volume of first wort. This gives me the amount of sparge water as need (as this volume is the same as the sparged wort volume). Note that, on some systems, you may to need to add volumes for the space under false bottoms, liquid in sight glasses, etc. You may also add water to the mash tun for a mash out. For any liquid that will drain from your system, just add that volume into the volume of strike water. As I run off the wort, I wait for the liquid level in the lauter tun to drop down to the top of the grain bed. Then I add a gallon or two (4–8 L) of sparge water to replenish the volume of water on top of the grain bed. I simply pour it gently from a pitcher. This does kick up a bit of grains, but they settle down quickly. If that bothers you, set a small plate or saucer in the middle of the grain bed and pour the water onto that. Then, I wait again for the liquid level to drop to the top of the grain bed and repeat the addition of sparge water. I adjust the rate at which I collect wort and how much water I add so that one cycle takes about 5 minutes. Once I run out of water, I simply let the rest of the wort drain from the mash tun. Once the lauter tun has completely drained, my correct pre-boil volume of wort is in the kettle, my lauter tun contains only wet grains, and my wort is right on the verge of boiling. (I heat the wort as I collect it so that it reaches a boil as soon as wort collection in finished.) This method is easier than trying to exactly balance the sparge water input (via a sparge arm) with the rate of lauter drainage. And, it doesn’t cut any corners. You still get all the efficiency you’d expect (and one hidden benefit that I’ll explain later). 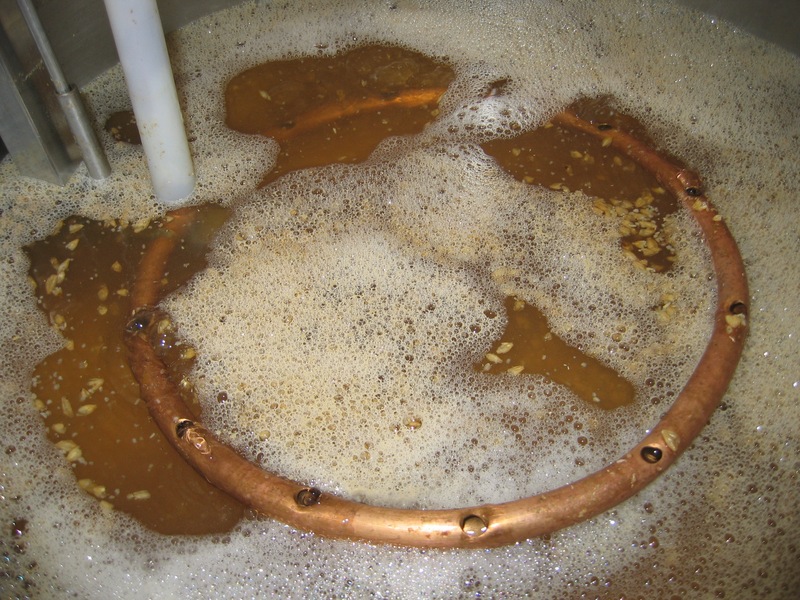 In the final installment of this article, I’ll discuss whether this method will work with homebrew lauter tuns designed for batch sparging. How did ‘fly’ sparging get its name? I’ve always assumed it is derived from the phrase “on the fly.” But I’m not sure. Hello, circumstances have made me work the same way. I have built a small zapap tun (6 l outside, 5 l inside). Since I cannot hold all my sparge water, I had to work by adding hot liquor in increments. In my case it is somewhat like collecting 1 l wort, adding 1 l hot liquor. By the way, for my calculations I use BrewTarget. But I wanted to know how the calculations really worked, so I built a model myself and put it into a spreadsheet. I also work backward, taking into account dilutions and losses in every step. I have only a small difference between BrewTarget and my spreadsheet, so I assume that I am right enough. Thanks for the Beer and Wine Journal, it is always pleasant to read.